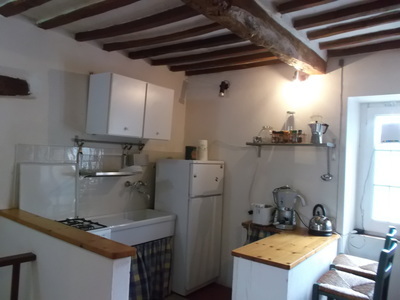 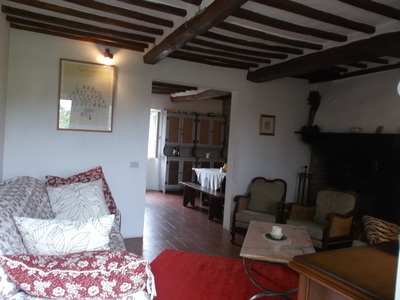 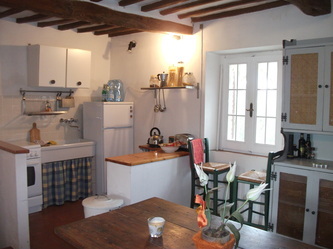 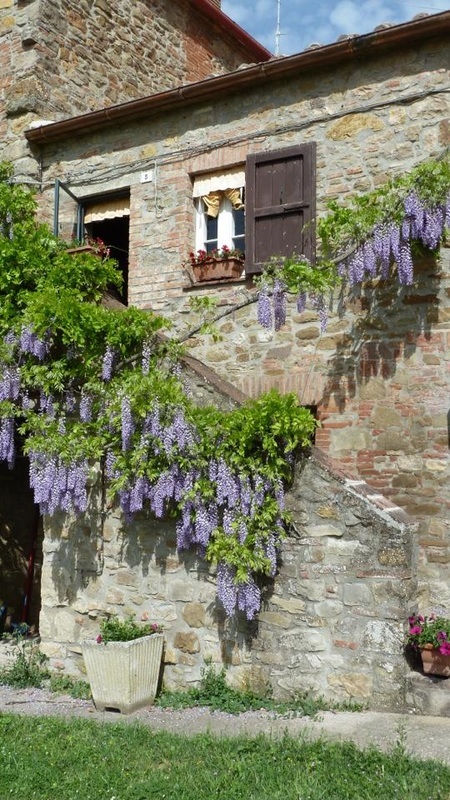 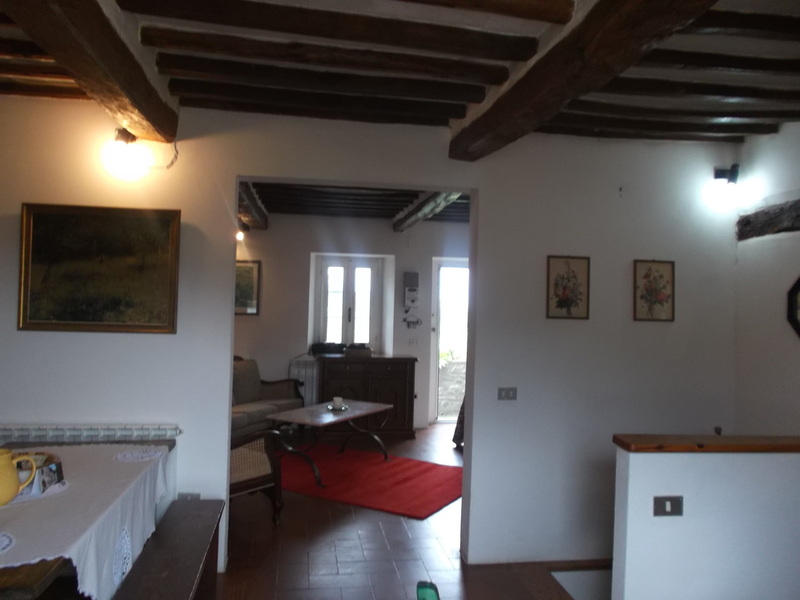 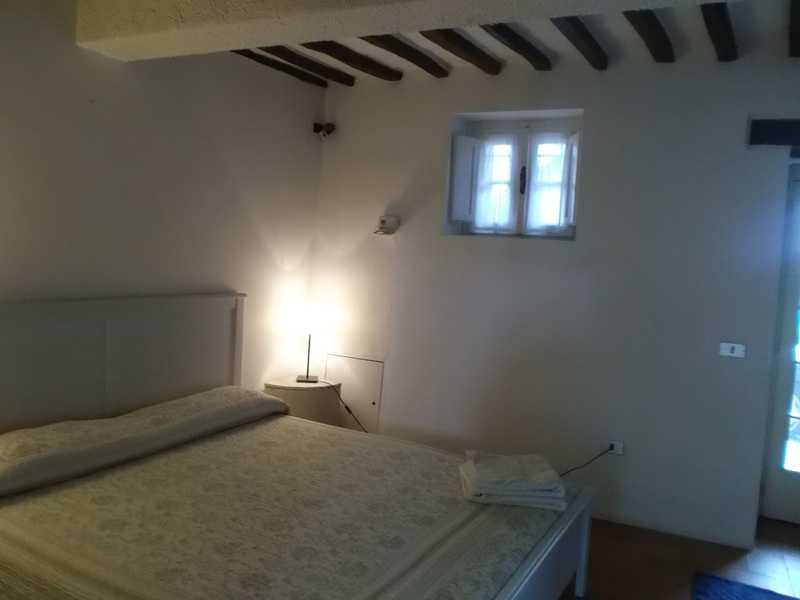 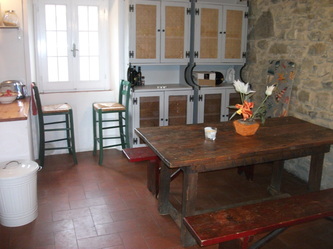 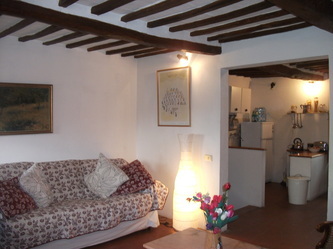 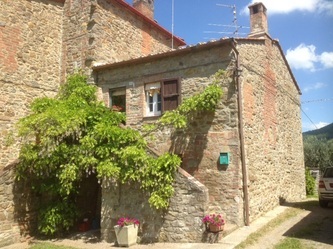 Lovely semidetached house at only 2 Km from the medieval village of Paciano, up to the hill with a fabolous view of the Lake Trasimeno with a private and fenced garden with olives and porch for dinner al fresco. The house is ready to live and It comes totally furnished. 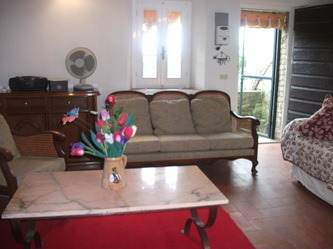 It’s on 2 levels: Ground floor: 2 double bedrooms with exterior accesses, 1 bathroom with shower. 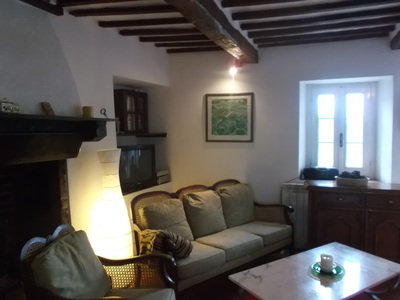 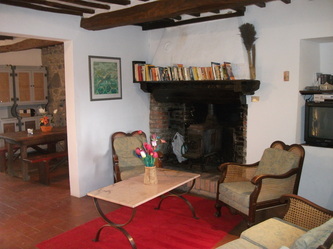 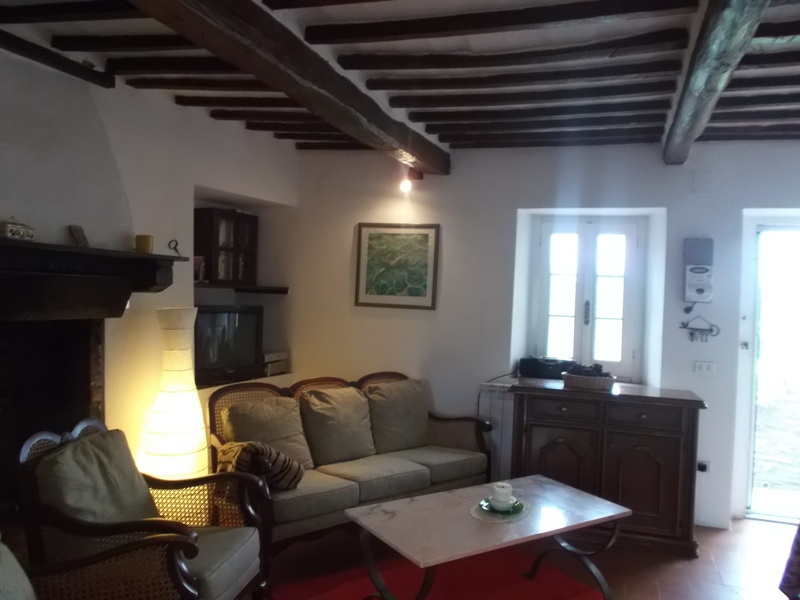 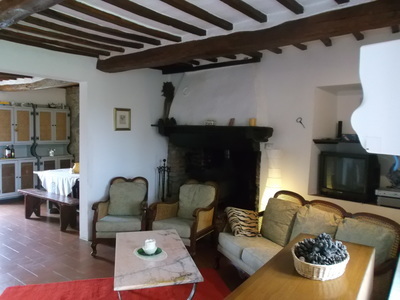 Internal and external stairs to the First floor: 1 large living room with sofas and original fireplace, dining room with a corner equipped kitchen.